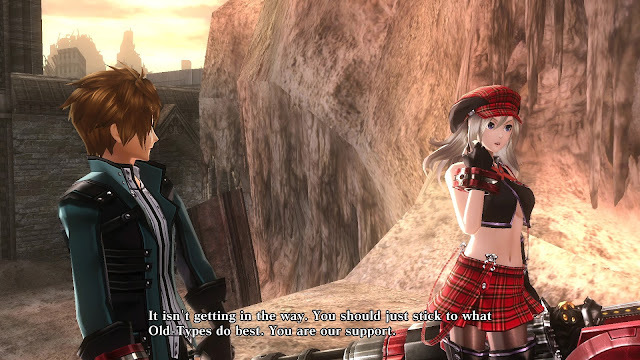 God Eater has been a series that I have been really interested in for some time, but for whatever reason there has been no effort to localise them. I even considered buying God Eater 2: Rage Burst when I was in Singapore on holiday since it was considered import friendly for anyone not familiar with reading Japanese. Thankfully, that's changing. Fast forward to today and God Eater: Resurrection has been available for a few weeks on PlayStation 4 and PlayStation Vita and I’ve had an absolute blast with it. 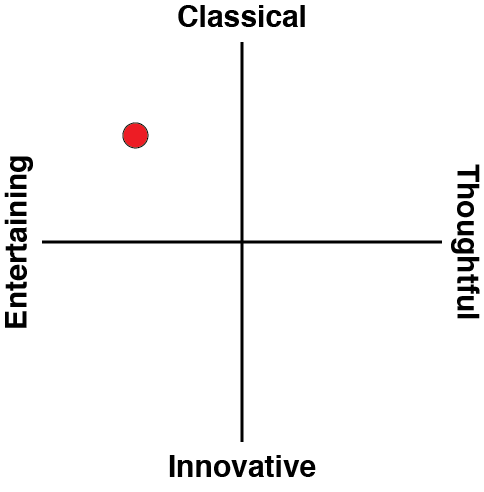 Related reading: Monster Hunter fans really owe it to themselves to also check out Koei Tecmo's Toukiden franchise. Matt's review of the game on PlayStation 4. 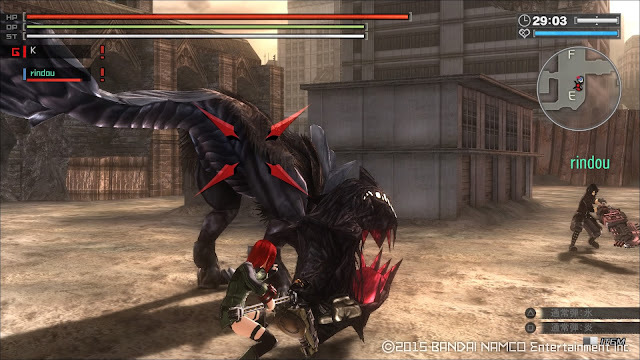 The God Eater games are action RPGs of the hunting variety. While most people compare the likes of this and Toukiden to Monster Hunter, I appreciate the games for what they do differently, and I find God Eater to be a lot more fun compared to Monster Hunter for a number of reasons. Resurrection is set in 2071 when Aragmi have taken over the world. These Aragami (Violent Gods) can only be exterminated by God Arcs that are made from Aragami. The people who can get rid of the Aragami are God Eaters. You play as a God Eater. The core gameplay loop involves you prepping for missions with equipment, crafting, and the usual stuff followed by a cutscene or two and your main story missions. There’s a ton of extra side content that will keep you satiated for far longer than you would ever expect from such a game. You start by customising the appearance of your main character. I went with a redhead and called her Chie be-cause why wouldn't I? (you should have called her Risette and you're fired - ed). One of my biggest problems with hunting games is typically the controls. Thankfully there are multiple control schemes available here and the tutorials are superb. There’s even an option to have tutorial popups show up every time you open particular menus which is great since I often forget what to do. 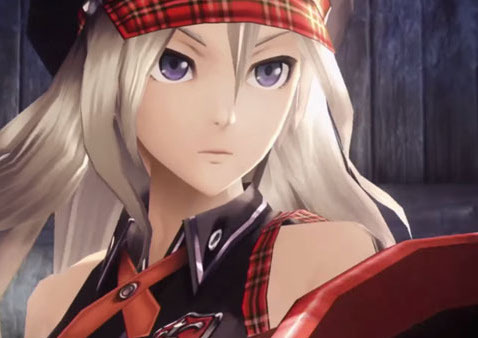 What I like the most about God Eater’s combat is the fast paced nature with you switching between a gun and a sword based weapon, as well as how much crafting matters. Crafting isn’t just limited to your main weapons. You even craft bullets and there are various kinds of bullets and buffs you can give your allies in combat. There are elemental weaknesses to Aragami so you need to prepare your weapon loadout accordingly for each mission. You can also devour an Aragami in predator form when they are defeated to collect materials used to craft. The plot unfolds with you being sent off to hunt various Aragami. Early on the AI controlled allies play very well but I do feel like some of the later missions are more geared towards playing with real people due to difficulty spikes. Having played both the handheld and the home console version and transferred my save across, I feel like the developers really dropped the ball on the big screen version. God Eater: Resurrection is an absolute joy on the Vita. I love the controls and the dated environments aren’t much of an issue when you’re focusing on combat on a small screen. On the PlayStation 4 side of things however, the PSP roots are more pronounced. I like the ability to have the operator audio come out of the controller speaker on PS4 though. Cross platform multiplayer is great and worked without lag for me. It is good to see more developers take a shot at the hunting RPG for big screens but a direct handheld port running at a higher resolution isn’t good. I also felt quite let down by the enemies in God Eater: Resurrection. While the designs seem good initially, recolours with different names are annoying, and they are too frequent for their own good. As a presentational positive, God Eater: Resurrection has a great soundtrack. 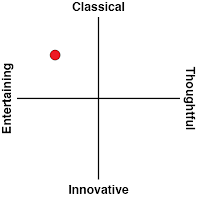 Everything from the dubstep-infused opening Over the Clouds to the melancholic but memorable outro and even the powerful performance by Donna Burke are great. There’s English voice acting and I enjoyed most of the performances. If you were looking forward to the Japanese dub, you will be disappointed as the game is English voice over only. Related reading: Nick reviews the latest of the Monster Hunter games, Monster Hunter Generations.